The 29 competitors who will be a part of the 2018 JK Tyre Hornbill Rally today, December 2, lined up at the Hotel Heritage in Kohima for registration and scrutiny. These participants will compete in two classes. The first of these is the Open class with nine contenders. The other 20 competitors will make up the North East categories. They will cover 55 km tomorrow during the TSD rally. Only two of the time controls will be disclosed, adding a challenge to the proceedings. The event is expected to be tricky as the rallyists will not be given prior information about the course or the triple cautions. They will be handed the tulips just a minute before the flag-off, making their task that much more challenging. This means that the navigator's role will be vital in this event. 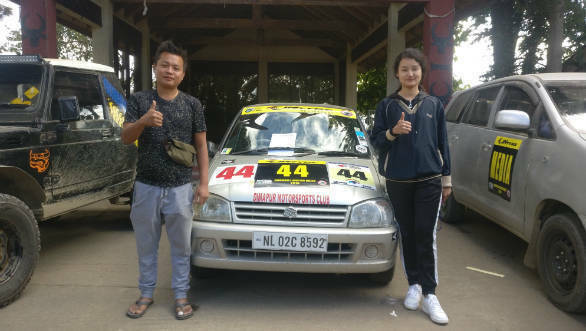 The FMSCI approved rally will be flagged-off tomorrow at 8:30 am from the Indira Gandhi Stadium and end at the Heritage Village Kisama in the outskirts of Kohima. The duo of Gagan Sethi and his co-driver Sabatullah Khan, winners of the last edition held three years ago start as favourites. They will be piloting a Maruti Suzuki Gypsy. Speaking of the event, Sethi said that it was great to be back in Nagaland for the Hornbill Rally. "I come here as defending champion and I know that I am the favourite this year too," he said. He went on to say that a lot has changed in the last three years and a number of new faces and new contenders have emerged. But he added that he was confident of defending the title. 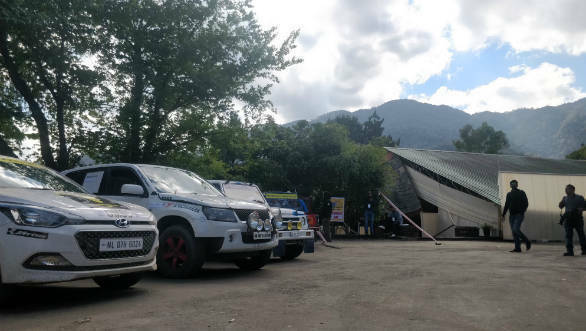 Hari Singh, head of Operations for JK Tyre Motorsport and multiple-time Indian National Rally Champion, was impressed with the way local organisers NAMSA had planned the entire event. He said he had seen the course and found it amazing, and believed that the drivers were going to love it even though their skills would be severely tested.